Everything found here is either a closeout, odds & ends item, damaged merchandise, or is available only in limited supply. If it is not marked sold, it is probably available as we update this page frequently. 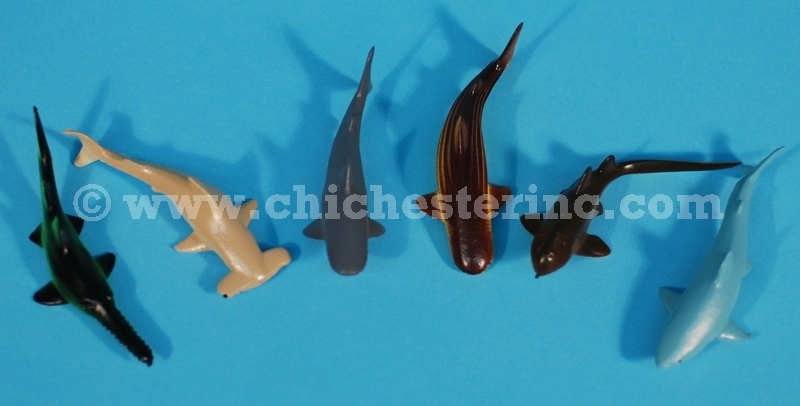 Please do not hesitate to call us at 1.800.206.6544 to order or email us at info@chichesterinc.com. 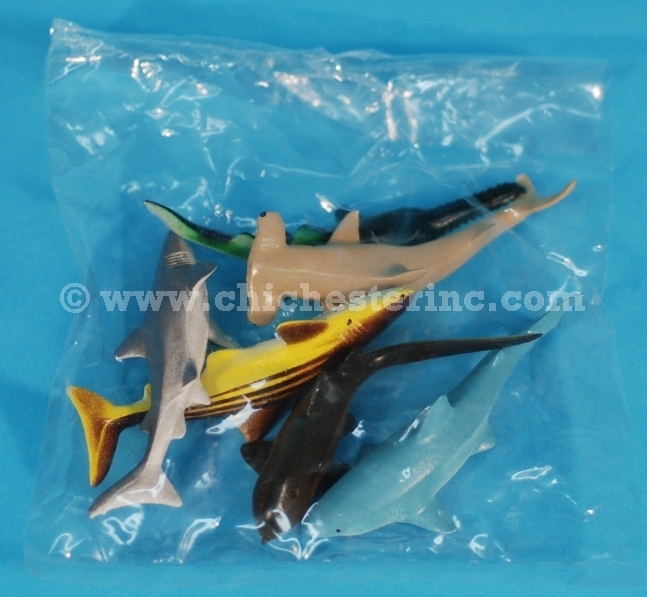 Each poly bag contains 6 types of sharks: hammerhead, short nosed saw, tiger, whale, zebra, and great white. 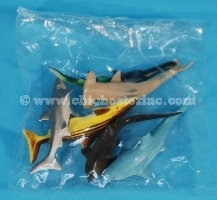 Each shark is approximately 3" long. We do not break the bags or sort by type of shark.. Warning: Choking hazard. Not for children 3 and under. This is old stock and has not been lead tested. Not for sale to children under 13.